My rides on my Ducati Monster for the last 30 days (May-June 2013): I've been to Port Deposit and the Conowingo Dam in Maryland, out to Lancaster County and Oley in Pennsylvania, then up to Allentown, Ottsville and Doylestown, and on to Frenchtown and Newark in New Jersey. 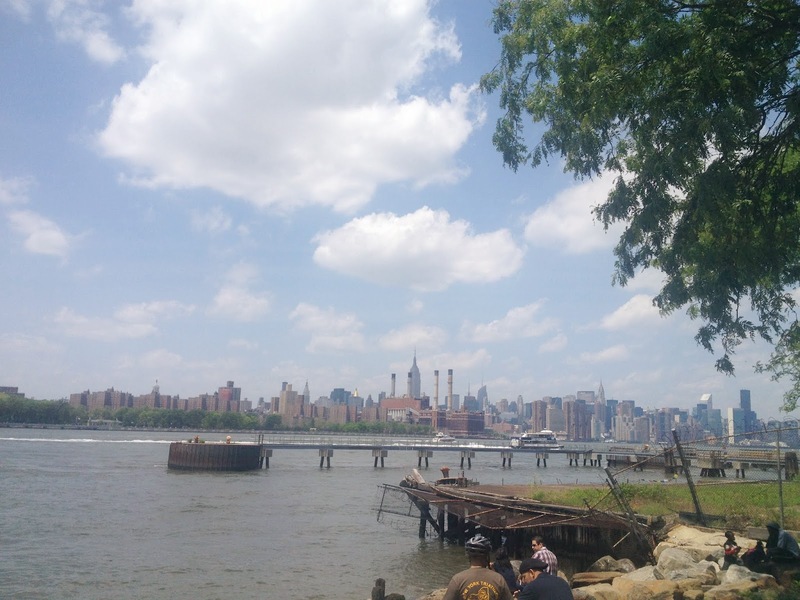 After arriving in New York City, where I garage my bike in North Willamsburg, Brooklyn, I've taken trips to Coney Island, Sheepshead Bay, Breezy Point and Rockaway Beach, getting lost in Ridgewood, Queens on the way back. I've taken little runs to Red Hook, Astoria, Roosevelt Island and of course all around Manhattan and Times Square! I went up to Bear Mountain by way of the Palisades, NJ through Englewood, Nyack, Congers and back through Elmsford and Yonkers. The next week I went up to Port Jervis, NY to the Hawk's Nest, then back through Milford and Fort Lee, before taking a detour to the Bronx to Mount Vernon and Pelham, then back through Parkchester to the FDR. The next day I rode out through Jersey City on I78 to Barnards NJ to meet up with the Desmo Owners Club to ride around the Round Valley Resevoir, into PA at Frenchtown, then up the Delaware through Easton up to Belvidere, stopping off for lunch in Washington, NJ. 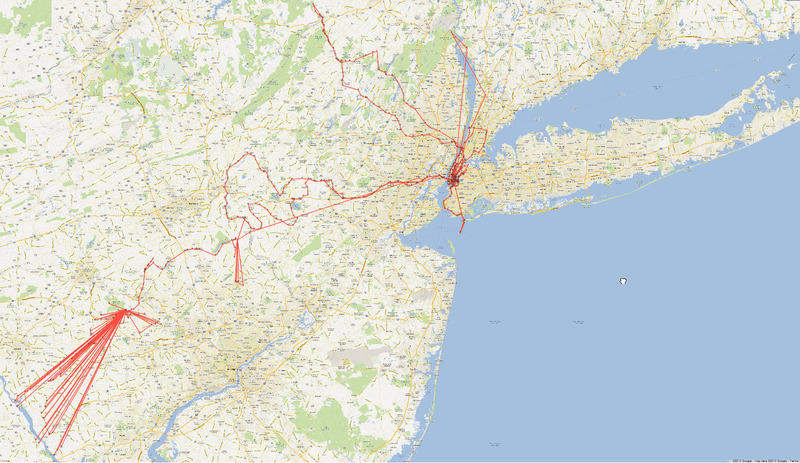 The previous month I took a bunch of mass transit to get around mostly Manhattan. 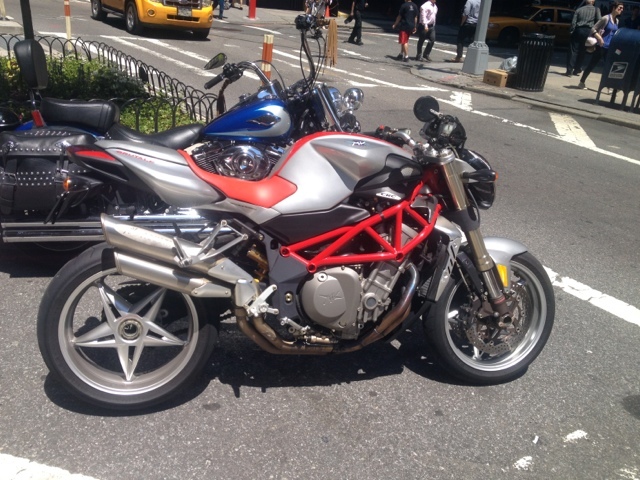 Pretty sure it's an MV Agusta Brutale 990r. This isn't exactly a Ducati, but considering how beautiful and well constructed these Italian bikes are, I thought it deserved a home here. Dinner at Juliana's Pizza, a stroll down the Brooklyn Bridge promenade, watching the storm come over New York City.